Organisations, schools and associations inform, educate and inspire the public and industry professionals. 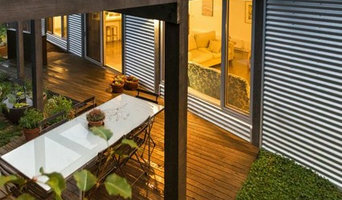 If you are an architect, designer, builder or contractor in Sunshine Coast, Queensland, they can provide invaluable expertise and advocacy for you in your chosen field. Associations, for example, can provide detailed insights and up-to-date resources for negotiating the rules and regulations of your local area. Organisations and schools also create a sense of community by providing networking opportunities with industry leaders and like-minded professionals. Furthermore, they encourage advancement in the field by conducting new research and conferences, while also recognising and awarding exceptional design. The National Association of Building Designers (NABD) was established in August 2013 to provide a national voice for building designers. Our Objectives: 1. To be the voice on national issues. 2. To promote and develop the profession of Building Design and advance the quality of the built environment. 3. To facilitate the exchange of information and foster continuing professional development. 4. To circulate information affecting the profession of Building Design, to print, publish, circulate such papers, periodicals, books, circulars and any other literary publications as may seem conducive to the objects of the Alliance. 5. To confer and enter into any discussions with any government, authority or industry. 6. The Alliance will not affiliate with or support any sectarian body or political party.